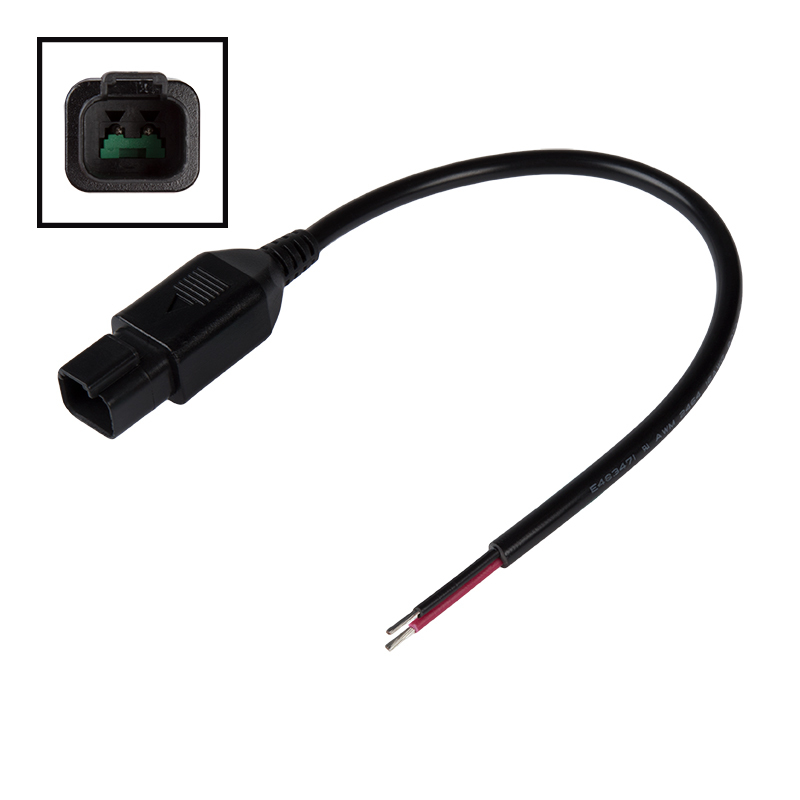 2-Contact female DT connector with 30cm(11.8in) long 14 AWG wire. Max current rated at 15 amps. Mates with DT-MPT male DT pigtail connector. The Pigtail and connector is very well made and comes with 14 gauge wire not 16 or 18 gauge like many connectors, and the price is very good too. I've ordered and used 4 of these now for installing lights on my Jeep!! Great quality & great price! !